I am very happy and thankful to have been given a chance to volunteer/ join Ateneo's Center of Psychological Extension and Research Services and assist / co-facilitate with their programs. 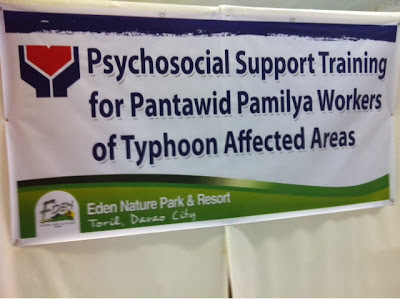 In times of disasters, COPERS is there to conduct psychosocial support and psychological first aids to the survivors in partnership with the LGU's and the NGO's. COPERS embodies the kind of Psychology I have always wanted to be in. Earlier this week, we were sent to Eden Nature Park and Mountain Resort to facilitate a seminar workshop for the 4Ps of DSWD. 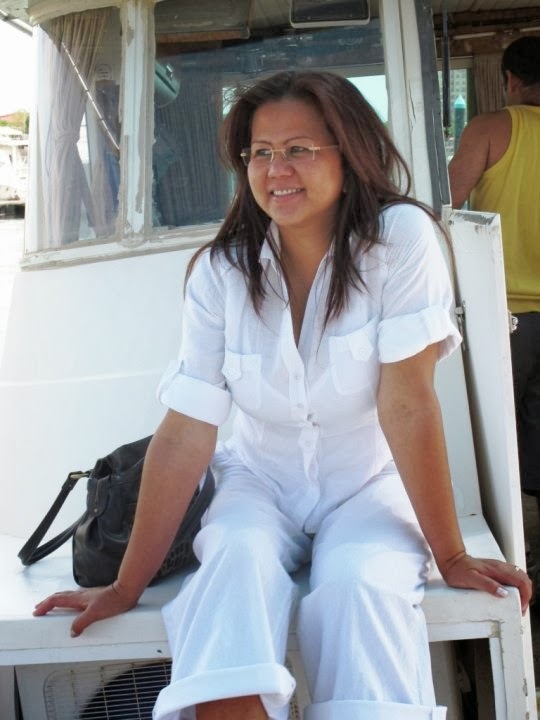 They are social workers that are based in Compostela Valley and around Davao Oriental. You don't exist yet because I changed my URL from http://anafilibini.blogspot.com (sorry followers!) 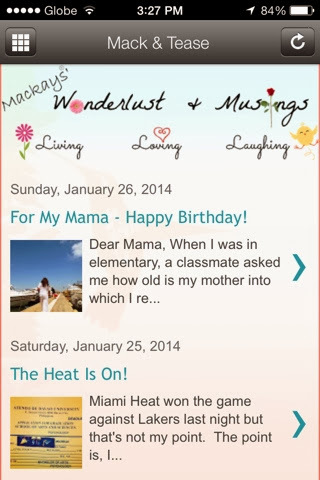 into http://mackandtease.blogspot.com temporarily & i'll probably change it again because I can sometimes be flaky like that. For now, Mackay (ME!) will "tease" (see what I did there? No? It rhymes with cheese! Mac & Cheese. Get it now?) :-)) Corny I know but that's the best I can do at the moment. Also, I spent the entire Saturday creating a pretty new header & a mobile template. The total blog revamp is not only to make it pretty but it also aims to personalize & contextualize the things that's been going on my mind. ANAFILIBINI needs to move out so I can move up with the changes that has happened & will happen. I will re-launch this blog to the public soon but I'm taking my time. At the moment I am enjoying the quiet and the anonymity of spewing words into the abyss of the world wide web. 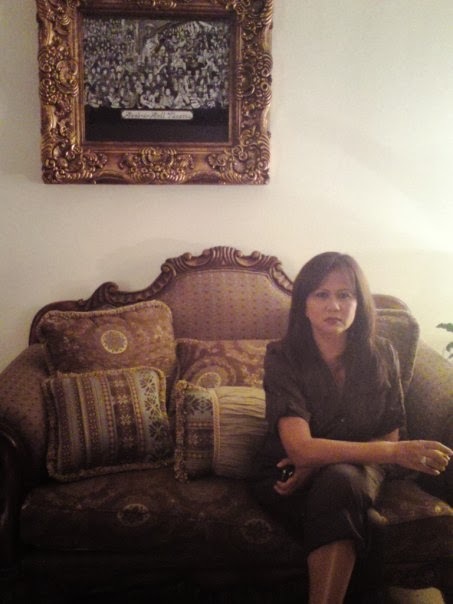 When I was in elementary, a classmate asked me how old is my mother into which I replied - 36 years old. You were at that time- only 28. I can't still wrap my head around the fact that at that age (a year younger than I am now), you already have 4 kids, started your first nail salon and has ventured out of the country for the betterment of our future. Not to mention the stories before, during and after that. When I was in high school, only a few classmates and friends of mine has seen and met you. Those who did however are in awe with your beauty and grace. They can't believe how young you were and how cool. You are my idol. I can only wish to be as strong, as resilient, as smart and as gorgeous as you are. There's no bond quite like a mother and child and ours was the same albeit a bit unconventional. We have been separated for so long that one of the biggest thing I am thankful for is the chance to live in Kuwait and got to be your daughter again. I got to experience my mother again. For that, I am forever thankful. Thank you mama for always knowing when to pick me up when my world crashes down. Thank you for the friendship and the confidence that your faith in me instills. Thank you for introducing me to the world of reading, of beauty and of humanity. 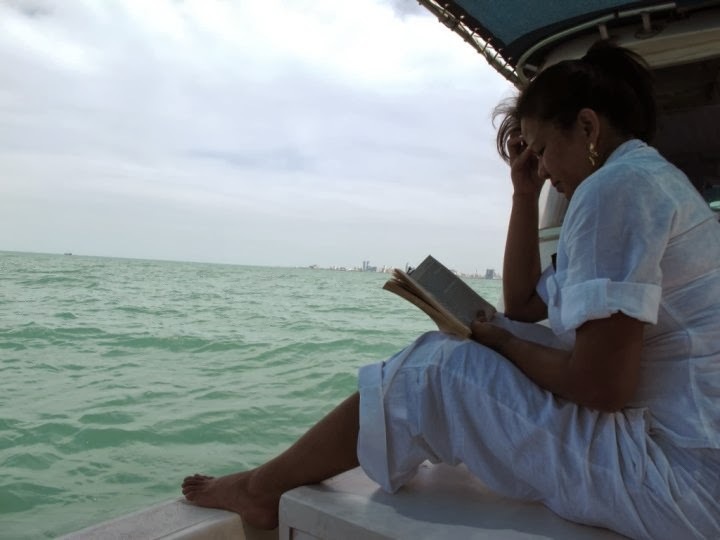 A perfect woman knows where the perfect place to read a good book. Your support in whatever that I do is what gives me the confidence and strength to get up and be better everyday. Thank you for always, always being in my corner and having my back. We treasure you and love you more than life itself. Most of all, thank you for teaching us how to love unconditionally. You are my mentor, you are my hero, you formed my faith and we are blessed to have you as our Mama. You are an amazing soul ever ready to learn something new, always compassionate and kind. I hope you have a hundred more birthday with good health and a strong mind. There'll never be a day in my life when I won't need you. I'm here for you too. We all are. Please remember that. Happy happy birthday Mama. You make my world a better place. Miami Heat won the game against Lakers last night but that's not my point. The point is, I am two months shy away from graduation! FINALLY! This has been on the works since I left the country 10 years ago & will not be possible without the benefactors. Bless their souls. I have gazillion things to comply before that & one of those is passing the Philosophy of Religion subject ( I swear modified true or false in an exam is inhumane ). Wish me luck Universe! All great & positive vibes my way please, thank you! The first book that I remember reading from beginning to end was "My Book of Bible Stories". I vividly remember it being handed to me in my mother's province on a sunday school when I was around 4 years old and to date- is still my favorite bible story compilation. I voraciously read every book & used to not be able to sleep without reading one. I used to be able to finish one book in one sitting & doesn't regret the 3 hours lost. Reading & discourse was encouraged in our house with my mother's Danielle Steel's and my father's mythologies and politics. I believe that the love for reading was the greatest "pamana" my parents has ever bestowed upon me. Where others buy t-shirts and fridge magnets as souvenirs from places they've been to- I buy books. Books helped me cope, taught me to adjust as well as entertained me to no end. It was all an experience and an escape. It takes me to places and makes me realize things that I would otherwise never learn in school. It gives me a great sense of pride and satisfaction when people exclaims in awe upon seeing my book collection. From reading, I wanted to be a writer. I wanted to be that kind of a human person that can transcend the experience of another person into a different realm all because of the words that I can conjure from my mind. 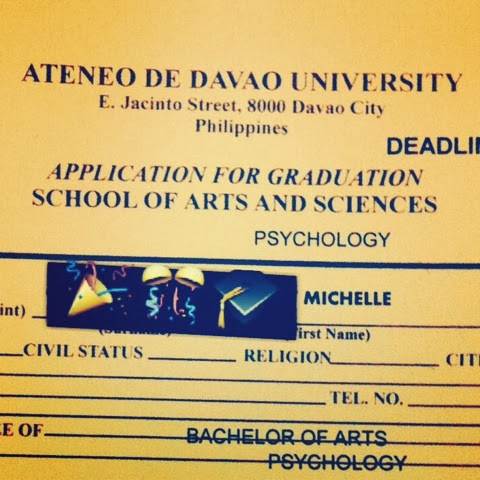 BUT going back to school after 7 years (hello thesis & internship! ), running of 3 businesses & personal life has really made it impossible to get lost in a really good book. It shames me to disclose that the book I have devoured on 2012 was along the genre of "Fifty Shades of Grey" and if the growing pile of books on my bed side table is any indication, I have not finished reading one last year. Lately, I have been feeling the cognitive effect of my non reading (or non writing - sorry blog!) to the way I discourse with peers. It's like having expressive aphasia constantly and for someone who lives for words, it's very disconcerting. So, this is my new year's resolution. To go back to reading and with that, to go back to writing. The word barrage is brought to you by the New York Times article - Reading Books is Fundamental. As part of the Psychological course requirement, undergrads needs to complete a certain number of hours interning on four different areas. This post will be about my first area - community internship at General Santos City. Not to toot my own horn but I really thought I was going to fail prelims as I was behind my internship & has missed classes but hey, I got a 98 on this one =) YEY ME! The names of the facilities and other participants are redacted on this post for privacy. My experience at Homes, Inc, is special in my heart. Not only has it taught me a lot of technical techniques in Psychology but it also showed me how empathy and resilience goes a long way. Being it during Christmas break, it has also reminded me the true spirit of Christmas as I have since forgotten the child like wonder and excitement that this season brings. Homes, Inc. gave us the chance to become, even for a short time, wardens of these 17 children through being with them in their daily tasks and working with them on the two day seminar that was conducted. I have newly grown respect to the workkers who run this kind of institution and to the amount of patience and altruism they must have had to exercise in their daily dealings with the children. That this kind of work is not something anyone can do, that this is a vocation of the highest order. The workshop concretize what we only know in theory at school. It taught us additional techniques in real settings on how to handle different personalities of children. It taught us that there is always something to be learned not only from our mentors but even from the children that we are handling. I’ve learned that these children communicates differently and sometimes in the only way they know how which is in anger and crying fits that needs to be recognize and addressed with individually with great care and forbearance. One workshop may not correct what has long been a struggle for these children but it is a start of something good that I hope will be continued because I know if given a chance, I will be one of those who will gladly go back and help. These children have individual needs and capabilities that is crucial to identify them but with the limited resources, we know that stereotyping can happen so we can only hope and help in ways we know through information dissemination and through education. The children needs to learn and have the sense of self, they need to be at peace within themselves to function as an individual out there. Having been a student of Ateneo de Davao, magis and cura personalis has long been instilled into our being that I am happy and excited to extend and share into the greater community out there. We may not be able to extend help to every child out there but we can only hope by helping one, it will be like paying it forward in which that those we helped can help others too. On our first day as an intern, we travelled all the way to General Santos City as our community setting location. We are to meet up with the resident psychologist of the community we are to intern in. We are received by the staff and after being introduced to their facilities we are told that there are seven children who are apparently in need of an evaluation test as it is a standard requirement for the HOME to have these girls undergo several evaluations to identify the different needs of each. We are then tasked to conduct guided clinical questionings to those who are done with their evaluations. We have observed how and have first-hand experience on how these girls respond to their activities. By 5 p.m. the girls are picked up by the in charge of transportation back to HOME. We then followed and was given a rundown of their facilities and the tasks that each children are assigned to on the daily basis. I realized that there is no special way in handling children “at risk” as they respond and manifest in their verbal and non-verbal communications differently. There are those who are eager and easy to talk to, there are lethargic ones who does not like being talked to and there are those who likes disrupting the activities through different antics. The in charge has done a good job in terms of structure and discipline but these children/ girls definitely needs the help of counsellors / psychologists in dealing with their issues of self-worth as most of them feels “dirty”. I saw the need to be extra sensitive to each individual even though we do not know their exact background. I admired how the resilient the children were despite their conditions. Upon our initial interviews, I found out that most of them are eager to learn and be somebody someday and some have become altruistic in declaring they want to be of help someday. Even when they are exhausted with their own emotional issues, I learned that almost all of them wants to help their house mates and other children who are “at risk”. I have also confirmed what I know from my volunteerism w/ COPERS & other private entities that community setting is special & is what I am passionate about, that I might perhaps pursue this certain field of psychology.